Written by: KristaG on July 29, 2018. Miraculous: Tales of Ladybug & Cat Noir is a French CGI animated series that was created by Thomas Astruc. The show itself is a co-production by ZAG Animation, Toei Animation, Disney Channel EMEA, SK Broadband, PGS Entertainment, Method Animation, and AB International Distribution. Before attending this particular panel that was hosted by Ezra Weiss, I had never even heard of the show, but I chose to stick around and settle in to listen to Cristina Vee, Mela Lee, Bryce Pappenbrook, Keith Silverstein, Joe Ochman, and Max Mittelman tell me all about it and its future. Miraculous Tales of Ladybug & Cat Noir can be found on Netflix! Though the show originally aired on Nickelodeon in the United States on December 6, 2015. However, Netflix now currently owns the series and online streaming rights. The first season was made up of 26 episodes and a 10 episode web series (along with a later release of web-exclusive content). Season 2, which began airing in the US on Netflix in March 2018, will also have 26 episodes. The show itself follows two modern-day high school students, Marinette Dupain-Cheng and Adrien Agreste, who are the “chosen” ones to save Paris from evil. 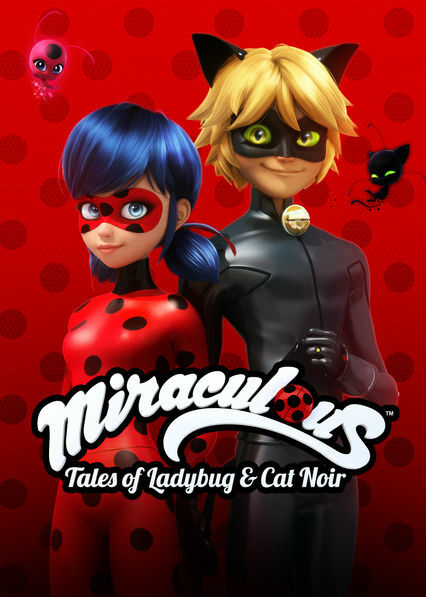 Whenever evil arises, Marinette and Adrien use magical jewels known as the Miraculous along with the aid of their kwami to transform into their secret superhero personas (Ladybug and Cat Noir, respectively). Even though the two are students in the same class at school, they do not recognize each other as they work together against the villain Hawk Moth and his dark butterflies known as “akuma.” These akuma are used to transform ordinary citizens into supervillains and must be captured! 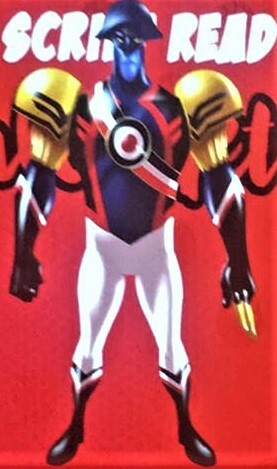 Malediktator was introduced to the audience during a script reading. He is voiced by Joe Ochman. During the panel, there was a script reading of the currently unaired episode entitled “Malediktator” by the voice actors that featured the newly-created supervillain Malediktator, Hawk Moth, Audrey Bourgeois, Chloe Bourgeois, and, of course, Cat Noir, Ladybug, and their respective kwamis; Plagg and Tikki. As I had never before seen the show, I found the script reading to be pretty entertaining and had a few giggles. We were also treated to an episode drop of the also currently unaired episode entitled “Sandboy.” While amusing, I feel after having just watched only one episode and listening to another is not enough to drive me to watch the show with invested interest. This doesn’t mean I didn’t like it! What it does mean, though, is that Miraculous simply did not “click” with me as a show that I would rush home to watch or as one I would seek out to keep up with. Perhaps I would put it on if I were bored or if one of the kids down the street were visiting or even my partner’s daughter, but not to watch on my own. 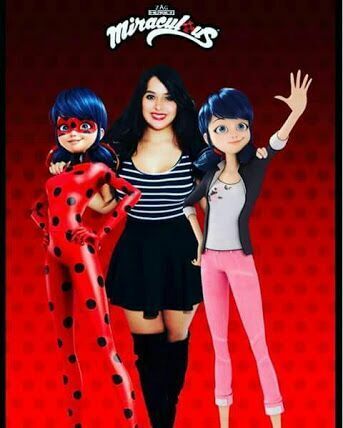 Jessica Angeles is the voice actress for Ladybug/Marinette in the Spanish version of the show. Unfortunately, Miraculous Producer Jeremy Zag was unable to join the panel due to being hard at work in France. However, he did have time to video chat with the audience and host, Ezra Weiss. During the video chat Zag announced that they are hard at work on Season 3, a Miraculous movie, and a live stage show musical for which he would be pairing up with Michael Gracey (Director of The Greatest Showman). In addition to these reveals, Weiss teased at the holiday releases for Netflix including Aqua Ladybug and Aqua Tikki! To be fair, Aqua Tikki might be my favorite character out of what I’ve seen of the show and this is based on appearance alone. Jessica Angeles, the “Ladybug/Marinette” voice actor for the Spanish version of Miraculous, joined the panel near the end to compare lines and voice acting skills with English voice actor Cristina Vee. To my surprise, and that of much of the lively audience, they were actually quite similar in sound even if the lines and translations were somewhat different! 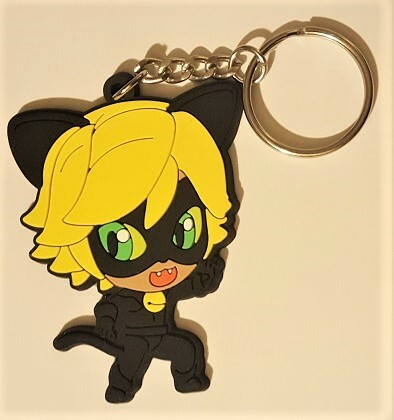 The Cat Noir keychain that I received for attending the panel Friday morning! He’s kind of cute, honestly! For attending the panel, each guest was given a Miraculous chibi keychain. Out of the two that were offered, I chose the one for Cat Noir as I happen to like his black cat costume. The chibi look ended up being a nod to the upcoming premiere of the Miraculous Zag Chibi webisodes that will be appearing online in August. The artwork for this new series is drawn by Angie Nasca and, as a bit of a twist, there are no voice actors as there is no dialogue! Each episode is meant to be a dialogue-free, comedic short that lasts for about a minute in length. We got to preview this new series as well and this is one that I feel I would watch. They are adorable and silly and I really enjoyed myself as we watched the episode entitled “Rooftop Dinner. A screenshot of the opening image from the Miraculous Ladybug & Cat Noir app from Crazy Labs by TabTale as taken by my phone in addition to a look at the SDCC 2018 exclusive issue #5 comic book cover for Action Labs Comics’ Miraculous: Adventures of Ladybug and Cat Noir. For those that are a fan of the show, other than re-watching old episodes, waiting patiently (or impatiently) for new episodes, or scouring the web for hints and spoilers for what is to come, there are numerous other ways to enjoy the universe created by the Miraculous franchise. One such way is with the Miraculous Ladybug and Cat Noir app from TabTale. In the app, which is available on both iOS, Android, and even from the Amazon App Store, players will leap, dodge, roll, and run as they try to save the streets of Paris while collecting tokens, power-ups, and other items which will help them to face off against familiar villains such as Stormy Weather or The Bubbler. As another reward for watching the panel, guests could go down to the booth in the Exhibit Hall and pick up a special code for exclusive gear to use in the game as well as have the opportunity to have the cast of the show give autographs. Speaking of autographs, another way to pass the time while waiting is to read the actual comic books that go along with the show. 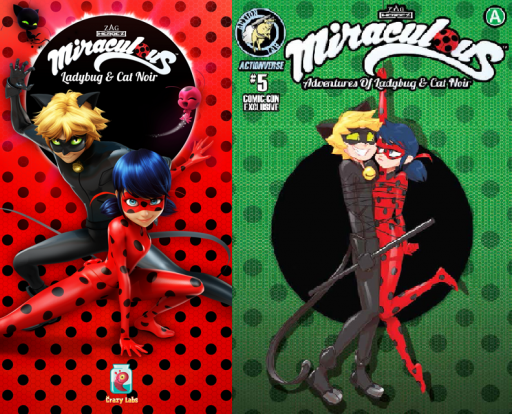 Issue #1 of the Miraculous comics was released by Action Lab Comics on July 6, 2016. 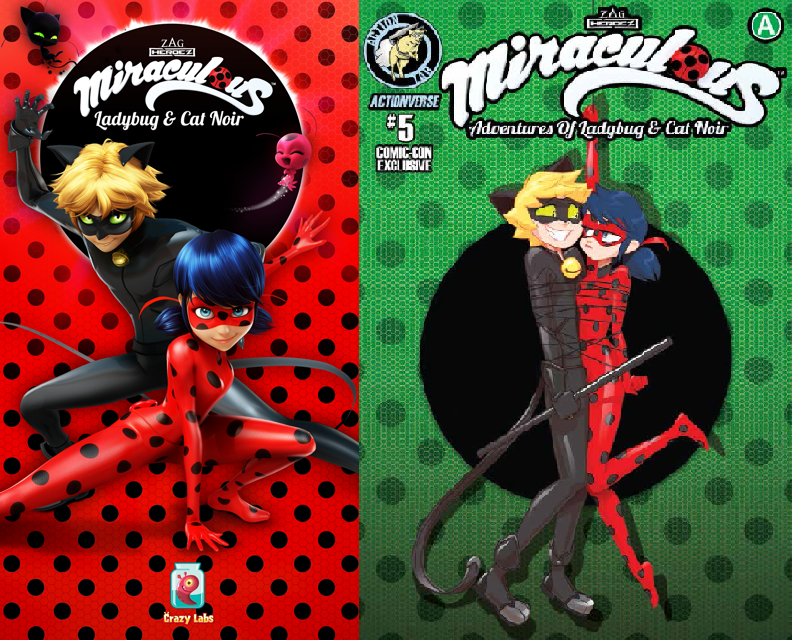 These comic books are adaptations of the Miraculous: Tales of Ladybug & Cat Noir episodes that were written by Nicole D’Andria and Cheryl Black. Currently, there are 5 issues that have been released out of the 8 that have been announced as well as several other series, manga, and even books!